The management of a firm is influenced and affected by many factors that exist in the external environment, also called as macro environment. These are beyond the scope of business control and affect the functioning of a business enterprise. 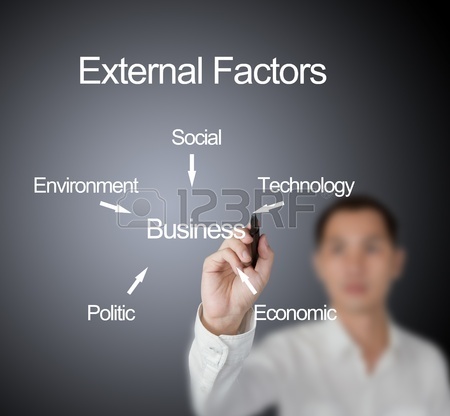 These factors may present themselves in the form of opportunities or threats and it is the responsibility of a manager to identify the changes in the external environment, be it, social, economic, political, legal, technological, demographic or ecological and devise action plans accordingly, to suit the changing demands and needs of the macro environment. The most important and prime factor that affects a firm’s operations and its basic survival is the economic factor. Economy of a country is prosperous only when it is self sufficient and withstands the pressure of inflation or recession. Businesses can flourish only if there is a regular demand for the products manufactured. The buying power of people and their willingness to pay are also important economic factors that affect demand. In developing countries, people concentrate on “saving” rather than spending, where the economy is showing steady growth. For instance in India, people invest their money in gold and land,both being considered as solid appreciating disposable income,assets. The ability of people to buy, largely depends on their employment, income tax and price of the product. The disposable income of people in developing countries is very meager and it further decreases if the rate of tax increases. This also affects his or her ability to buy. If his concentration is on “saving”, again his ability to purchase is restricted. Even if the individual has the purchasing power, there is no assurance that he or she will buy, it all depends on their willingness to buy. The purchasing power parity of developing countries is very low when compared to developed countries. In recent times, technology also has played an enormous role in bringing an array of new products into the market, and has improved man’s preference for better products. For a business firm, it is very difficult to predict people’s preference as well as changes in their preferences. It needs a great deal of market research and regular updations. If the prices are in decreasing trend, people will not buy the product immediately; they will wait for some more time to derive maximum benefit or value out of their purchase. So, people’s perception about the market economy, social influences and changing preferences definitely affect the willingness to buy. Managing the competition proves to be a tougher task for each and every individual business firm. In today’s modern high flying business environment, people always expect value added services for the products purchased. Business organisations are in a position to compete for customer’s interest as well as income. Firms think of price reductions, aggressive promotional efforts, attractive offers, differentiated product offerings and customer service as competitive tools to have a sustainable and distinctive advantage over others. Offering new product designs, attractive packing, extended credit facilities, free door delivery and fast and competent repair services also differentiate firms from their competitors. 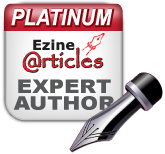 Inflation and recessions are caused due to business cycle fluctuations in the economy and directly affects the buying power of people by either decreasing or increasing the value of money. Crude oil price is the dictating factor that controls the stability of economy and an increase in crude oil prices elicits an uncontrollable economic chain reaction that causes an step up in the price of all essential commodities. The purchasing power of people declines due to inflation where there is a general increase in the prices of products and a fall in the value of money. Economists say that, a mild inflation acts as a stimulant for the growth and prosperity of an economy.